Business Wire: Toshiba announces 1/4-inch 8MP 1.12um BSI pixel T4K35 image sensor featuring Color Noise Reduction (CNR). The CNR has first appeared in 12MP sensor in Nov. 2012. The new T4K35 provides ~1.5 times higher SNR than a 1.12um pixel sensor without CNR. 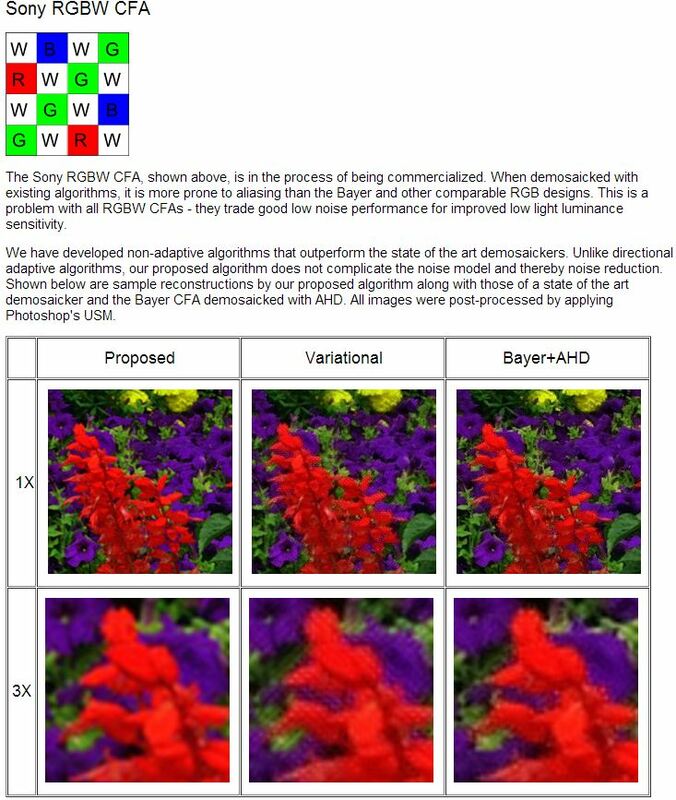 Together, BSI and CNR allow to achieve the 1.2um pixel SNR equal to Toshiba's existing 1.4um product. The sensor supports 30fps speed at full resolution. The sensor is planned to enter mass production in July 2013.
Business Wire: Toshiba also launches mass production of the previously announced 2MP 1.75um pixel T4K28 sensor with embedded ISP. The 1/5-inch sensor delivers 15fps at full resolution. Also, the product pages for the previously announced 20MP 1.2um BSI TCM5115CL sensor has been published on Toshiba site. 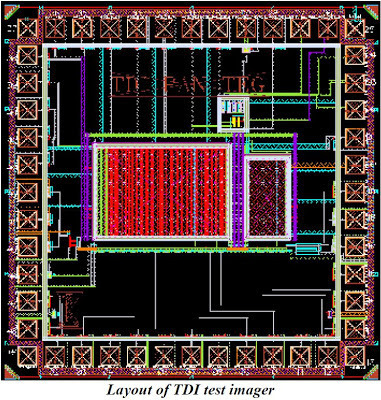 Also, a new 16MP 1.34um BSI pixel TCM5107CL product page has been published. The new sensor delivers 30fps at full resolution or 60fps in 1080p mode. Corephotonics announces its first round of financing with an investment of $5.2M. The company was founded by ex-Tessera team of David Mendlovic, Gal Shabtay, and Eran Kali. Magma Venture Partners and BetaAngels, led by VC practitioner Roberto Saint-Malo, participated in this first round of funding. Computational cameras – sophisticated optical systems combined with complimentary image processing which will provide dramatic improvements, such as true optical zoom, lower profile optics, low light improvement, 3D mapping, and more. ON Semi: ARRI (Arnold & Richter Cine Technik) has been awarded the “Technology and Engineering Emmy Award” from the National Academy of Television Arts & Sciences for improvements in large format CMOS image sensors. When accepting the award, ARRI’s Managing Director Franz Kraus specifically thanked ON Semiconductor for its contribution as a partner in the product development. "ARRI and ON Semiconductor have had a strong and collaborative relationship in the areas of product development and manufacturing for almost a decade," said Franz Kraus. "The design expertise and innovative sensor technology ON Semiconductor brought to this project, coupled with their consistent manufacturing quality and reliable worldwide supply chain network make them a valued partner to have in the highly demanding motion picture equipment marketplace." 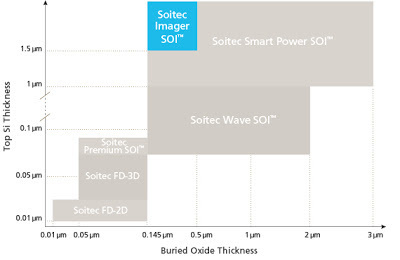 "ON Semiconductor designed the ALEV III CMOS Image Sensor specifically for ARRI – utilizing our state-of-the-art imaging technology that resulted in a sensor design featuring a 14-bit true dynamic range in combination with 8 Mpixel resolution at 120 full frames per second," said Bob Klosterboer, SVP at ON Semi. "Working collaboratively with the team at ARRI, we successfully delivered a remarkable product that combines excellent noise performance with high image resolution and increased frame rate to enable precise slow motion image capture. Our congratulations go out to ARRI for their Emmy award." IMV Europe, Vision Systems Design: Starting from Jan 1, 2013, Europe suspends the customs duty on CMOS sensors, responding to the request made by Framos, a Germany-based distributor of CMOS sensors. CCDs have already enjoyed tax-free import rules since 2010. However, CMOS sensors were related to a tariff group of "parts for television cameras" and were levied a 5% customs duty. Lou Hermans, COO of Belgium-based CMOSIS, commented: "It will make us a little less competitive, in the sense that people importing CMOS sensors from abroad [outside Europe] will not be confronted with the import duties anymore." However, he went on to say that CMOSIS is not really competing on price but on performance and the company is targeting niche sensing markets. "I don’t expect it will affect us that much," he said. Thanks to PD for the link! "This apparently simple concept is very difficult to implement in CMOS technology since a true charge handling over several stages is normally not provided. 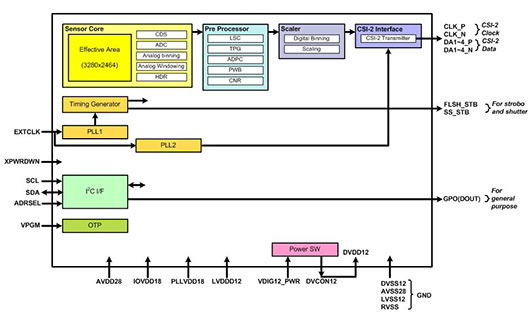 This is whereour ESPROS Photonic CMOS process plays its strengths. In a pure CCD process, the core pixels could be implemented straightforward (in-fact a 2D CCD array does the job), but there is no performance analog circuitry available to gather, multiplex and amplify the incoming lines on one or few output pads at the required speed. In close cooperation with a very ambitious customer, epc engineers created an implementation of the TDI concept in the ESPROS Photonic CMOS process. 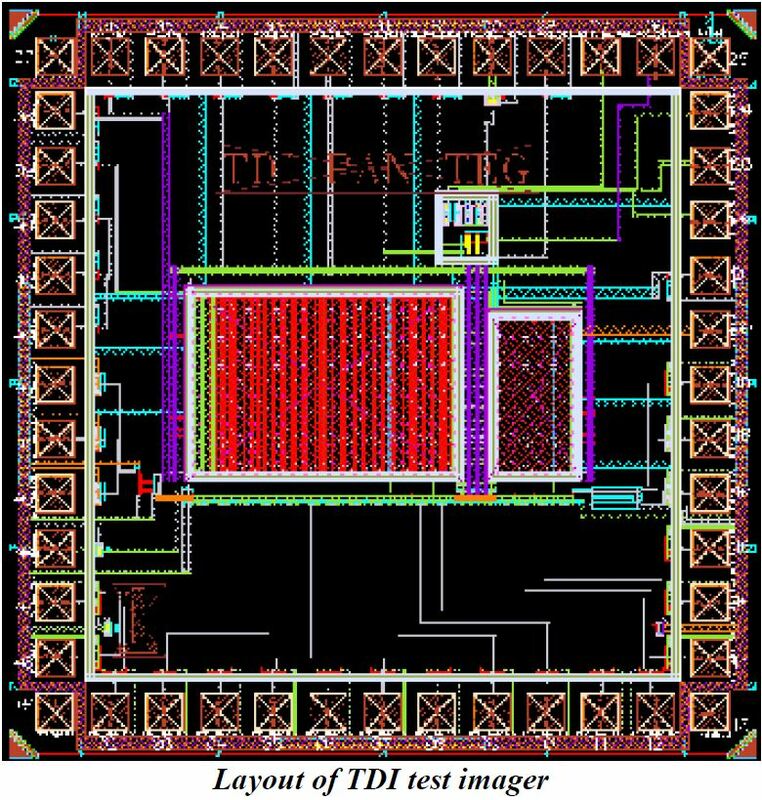 The challenging requirements were assessed using device simulation and optimum structures were selected for the test-chip, which is currently in production." ITU members approved H.265 video compression standard, known informally as ‘High Efficiency Video Coding’ (HEVC), and considered to be twice more effective than the widely adopted now H.264. 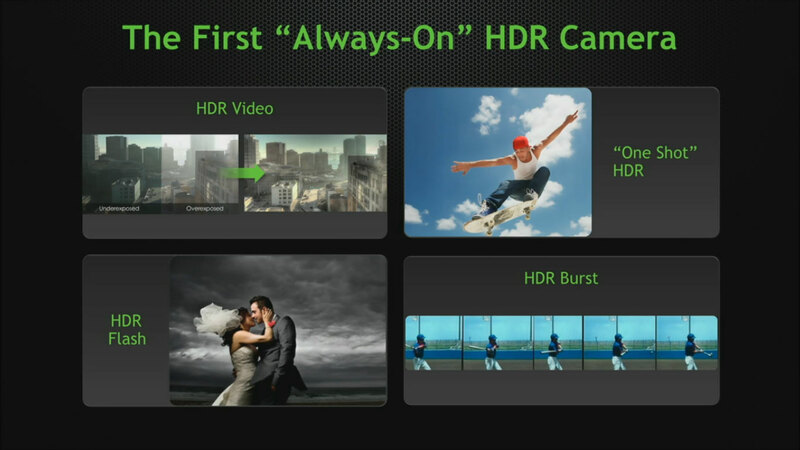 The approval is believed to pave the way for 4K video devices, HDR features in video and more. The new standard includes a ‘Main’ profile that supports 8-bit 4:2:0 video, a ‘Main 10’ profile with 10-bit support, and a ‘Main Still Picture’ profile for still image coding that employs the same coding tools as a video ‘intra’ picture. The ITU/ISO/IEC Joint Collaborative Team on Video Coding (JCT-VC) will continue work on a range of extensions to HEVC, including support for 12-bit video as well as 4:2:2 and 4:4:4 chroma formats. Another important element of this work will be the progression of HEVC towards scalable video coding. The three bodies will also work within the Joint Collaborative Team on 3D-Video (JCT-3V) on the extension of HEVC towards stereoscopic and 3D video coding. 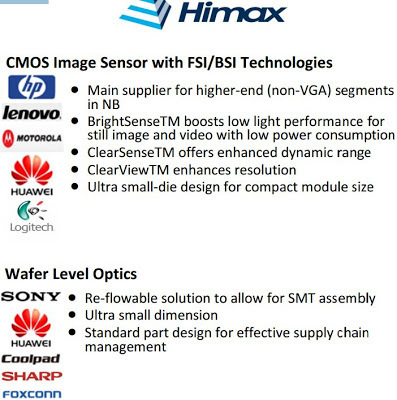 Business Wire: Image Sensors conference (IS2013) have released its full agenda for 2013. Jim DeFilippis, the former EVP Digital Television Technologies and Standards at Fox TV, and one of the keynote speakers for IS2013 is to discuss the duality of image sensor and display technology development in 3D broadcast technology. His presentation is set to include his experiences from the London 2012 Olympics 3D broadcast. The pre-conference workshops will be led by Prof Edoardo Charbon, TU Delft, The Netherlands and Nicolas Touchard DxO Labs, France and will focus around Single-Photon Imaging - Technology Overview and Focus on Medical Applications and testing and Optimization of Image Sensor Performance. The conference site also published the interview with Kartik Venkataraman, Pelican Imaging Founder and CTO. Q. 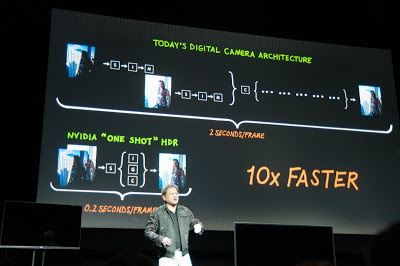 What are the novel applications for [the multi-aperture] image capture in a camera phone application? A. "Clearly the biggest advantage of this approach is that you are getting not just an image of the scene but also its depth. The camera array needs to be seen as a both an imaging device and a 3D acquisition device. The technology is passive, low light capable, small enough to fit into the mobile device one carries around, and produces high quality high resolution images. From that point of view, it allows one to imagine all sorts of capabilities given the availability of a high resolution depth map along with the high resolution image. Besides synthetic refocus (in post capture still and live video) some of the applications would be distance measurement, scene segmentation, object level manipulation and filtering as well as 3D modeling and just about anything that can be further enhanced with the availability of a depth map." Q: What are the limitation of current 3D image capture? A: "Relying on stereoscopic capture. Multi-view capture could provide better 3D imaging but requires intensive processing to convert to Left/Right eye views. Challenge of stereoscopic camera capture is maintaining proper parallax with appropriate disparity, matching the optical and electronic responses in both views (my experience is that for excellent 3D stereoscopic imagery, the error between the Left and Right views needs to be less than 1%)." Q: Where are the opportunities for further technology refinement and innovation? 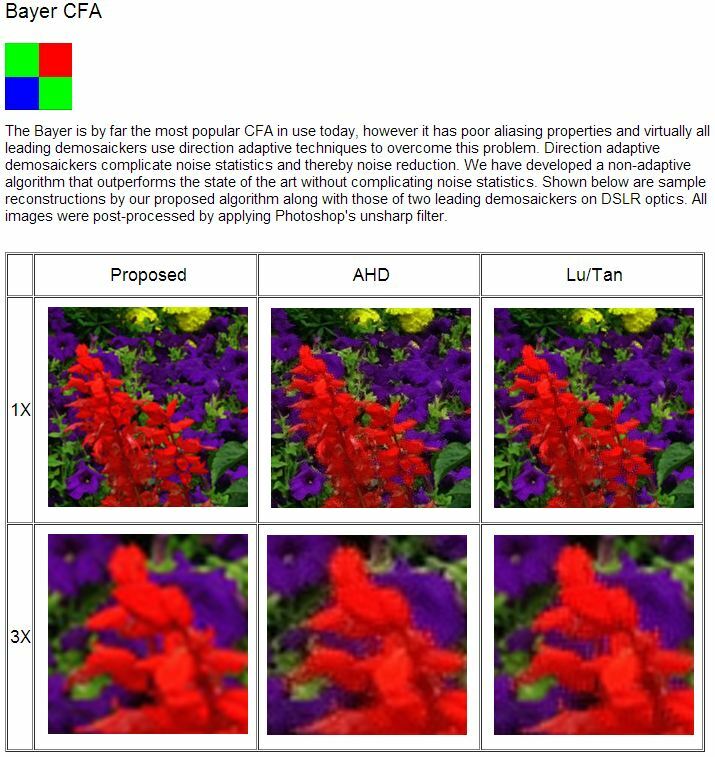 A: "Image processing, especially the ability to use multi-view camera systems. On the display side, the ability to produce 'glasses' free auto stereo images, without artifacts. 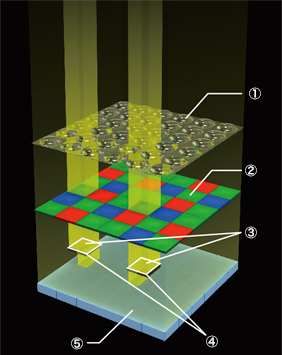 Ultimately a practical holographic display system will be developed." Q: Do you see any new game-changing innovations around the next corner, and if so, what are they? A: "In the medical market, single photon counting will definitely represent the most exiting innovation, bringing medical X-ray imaging to the next level with fantastic opportunities to improve cancer diagnostic. In the consumer business the 3D stacked architecture will deeply change the industry similarly to the Backside Illumination technology which already represent more than 25% of total CMOS image sensor revenue. In these two cases advanced packaging technologies are keys to overcome the technological challenges." To achieve true HDR video recording, the advanced Exmor RS camera sensor in Xperia Z changes the exposure every two lines of pixels. 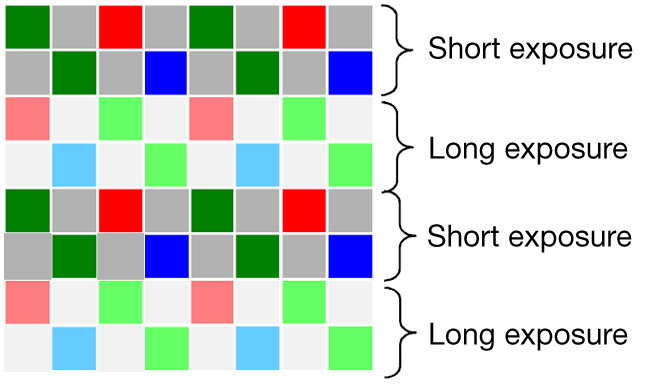 This creates a spatially varying exposure (SVE) array image, which is then used to make an image that is perfectly exposed in both dark and light areas. To simplify the concept, for each frame the camera shoots one picture with two different exposure levels at the same time, one light and one dark. Then, an intelligent software algorithm is used to combine (synthesize) the two shots into one picture, pixel by pixel. This allows you to see the details of both the dark and the bright parts of the picture. With HDR for still images, the camera quickly captures the image twice with different exposure levels and stitches the two shots together to create one optimised photo. This way, HDR lets you capture clear photos even against strong backlight. HDR is automatically activated when Superior Auto detects scenes with strong backlight. Samsung patent application US20130015325 "Backside illuminated image sensor" by Jung-Chak Ahn proposes to use relatively thick BSI substrate (10um in an example embodiment) and apply high voltage on the backside to reduce crosstalk. The backside voltage is provided by a charge pump. Unfortunately, the application does not tell what to do with current flow from the backside voltage source (-10V in the example below) through the p-type inter-PD isolation to the front side p+ pinning layer at 0V. Mukul Sarkar and Albert Theuwissen published book "A Biologically Inspired CMOS Image Sensor", Springer 2013. 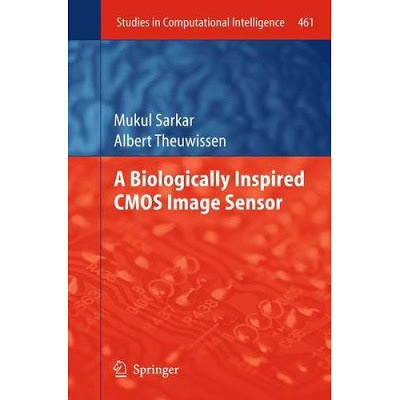 "A CMOS image sensor replicating the perception of vision in insects is discussed and designed in this book for industrial (machine vision) and medical applications. The CMOS metal layer is used to create an embedded micro-polarizer able to sense polarization information. This polarization information is shown to be useful in applications like real time material classification and autonomous agent navigation. Further the sensor is equipped with in pixel analog and digital memories which allow variation of the dynamic range and in-pixel binarization in real time. The binary output of the pixel tries to replicate the flickering effect of the insect’s eye to detect smallest possible motion based on the change in state. An inbuilt counter counts the changes in states for each row to estimate the direction of the motion. 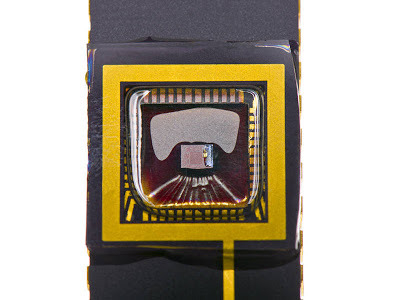 The chip consists of an array of 128x128 pixels, it occupies an area of 5 x 4 mm2 and it has been designed and fabricated in an 180nm CMOS CIS process from UMC." Daniela Baierl, Lucio Pancheri, Morten Schmidt, David Stoppa, Gian-Franco Dalla Betta, Giuseppe Scarpa, Paolo Lugli, A hybrid CMOS-imager with a solution-processable polymer as photoactive layer, Nature Communications, Nov 2012.
hybrid CMOS-detector with a P3HT:PCBM bulk heterojunction. (535 nm), the other with a NIR-LED at 850 nm. Q. MESA Imaging is the leader in the field of 3D cameras - what has surprised you as you've seen this sector develop? A. What has surprised me is the overall complexity involved in trying to match up the customer/market needs with the capabilities of the technology. Early on, it was evident that the customers' perceptions on the capabilities of TOF and of what they thought they needed from the TOF cameras was quite removed from the actual reality. Q. 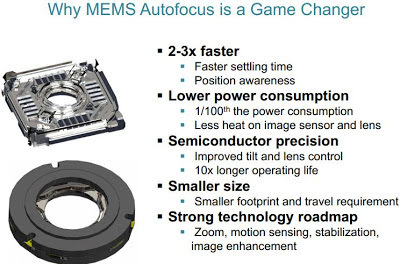 Where do you see the future growth for 3D camera applications? A. The growth will not come from the applications that one reads/hears about most often in the public domain. Q. Your presentation will 'mythbust' some popular thinking on this sector - can you give us a sneak preview of what you are going to talk about? TOF will revolutionize Human-Machine User Interfaces. All consumer mass markets are great opportunities for adoption of TOF. Pixel performance is the critical determinant of performance of a TOF camera (aka. "My pixel is better than your pixel"). Use of standard CMOS processes is important in the supply of TOF sensors. CIS sales for tablets will represent nearly $1.5B in 2017. The automotive market is expected to reach $400M in 2017. Mobile handsets accounted for ~65% of total shipments in 2011. 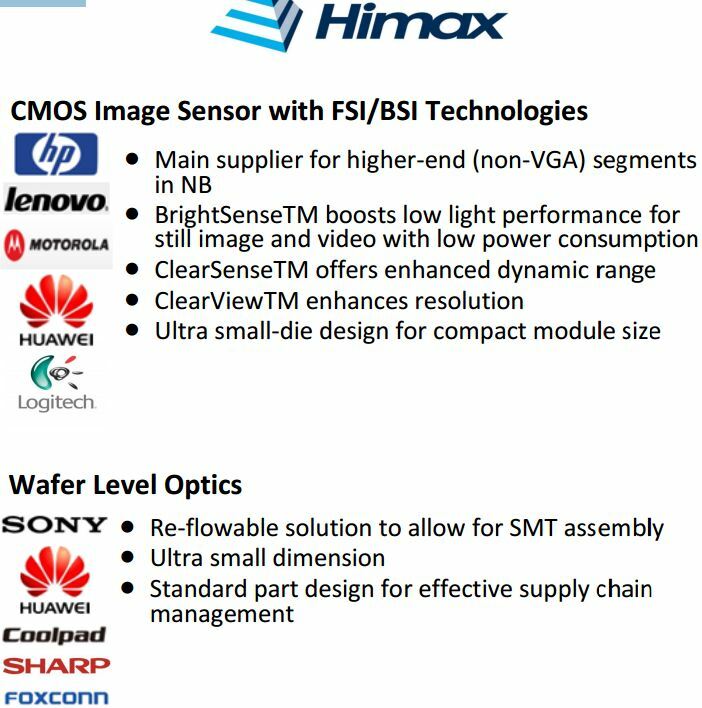 Back in 2009, Omnivison was the only major fabless image sensor manufacturer, but that situation is set to change: the fablight/foundry business models will be more and more successful in the future. 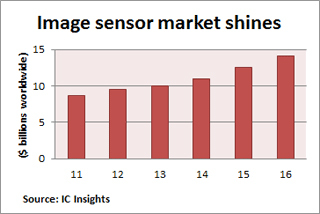 BSI image sensors account for 25% of total CIS sales in 2012. This fast adoption of the BSI technology is expected to reach more than 70% by 2017, increasing revenue to $7.7B. 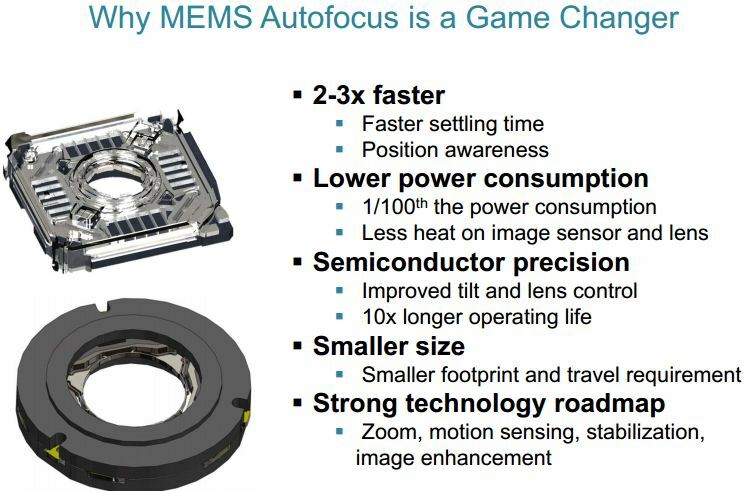 MarketWire: InVisage adds two executives to lead the engineering and manufacturing efforts for its QuantumFilm sensors. Joining InVisage are David Boisvert as VP engineering and Robin Cheung as VP of materials and manufacturing. "These are critical positions as we begin production of our breakthrough QuantumFilm sensor. I am thrilled that David and Robin -- whose reputations are stellar in the imaging and semiconductor industries -- have joined InVisage to lead our engineering and manufacturing efforts," said Jess Lee, president and CEO of InVisage. "Robin and David bring a wealth of depth and experience that strongly positions us as we move into the high volume product phase of InVisage's growth." Previously, Boisvert founded the analog group at Kodak and served as a design director for TI. He also held a number of leadership positions at National Semiconductor, including leading the High Speed Signal Path business unit, and serving as a strategic technologist. Boisvert holds several patents in the areas of image sensor design and mixed signal processing for imaging applications. He holds the PhD in Electrical Engineering from Stanford University. "As a technologist who has devoted his career to designing high volume semiconductor devices, I am fortunate to be working with a company that is committed to developing a product that will transform the industry," said Boisvert. "I'm looking forward to helping move InVisage chips out of the lab and into full production." Cheung joins InVisage from Qs Semiconductor, where he served as VP of technology. His career includes leadership positions at Unity Semiconductor, Applied Materials, AMD and AMI. Cheung holds 94 patents in the area of semiconductor manufacturing and was a founding member of the International Interconnect Technology Conference (IITC). Mr. Cheung holds the M.S. in Electrical Engineering from the University of Illinois at Urbana-Champaign. "Having spent my career in semiconductor production, I am excited by the challenges presented by the production of QuantumFilm sensors," said Cheung. "It's a rare opportunity to work with groundbreaking technology. I am proud to be a member of the InVisage team." In August 2012 PrimeSense was selected as a World Economic Forum Technology Pioneer. PrimeSense is one of 23 of the world’s most innovative technology start-ups recognized for its potential to transform the future of business and society. Primesense president, Aviad Maizels will is speaking on Thursday, Jan. 24, 2013 at the World Economic Forum in Davos, Switzerland. He'll be a special guest in a session with Marissa Mayer of Yahoo to talk about innovation, interaction and technology in the new economy. Nikkei: Sony is seeking 30% share of the global market for mobile handset image sensors in shipment volume terms in fiscal 2013 (in Japan, the fiscal year 2013 ends in March 2014). Optics.org: Keith Cornell has been named as Chairman of poLight. Cornell joins poLight following the recent sale to Samsung of Nanoradio, a Swedish semiconductor company, where he managed the process of selling the wireless chip developer. "We are very pleased to have such an experienced industry executive join our Board as Chairman," said poLight CEO Christian Dupont. "poLight faces extremely good prospects and Keith's leadership of the Board will assist us in achieving our aggressive growth plan." Chipworks published a nice explanation of SCM technique - an extremely useful tool for process and pixel debug and analysis. (left) plan view of a shallow bevel and (right) cross-sectional view. The China Post: While Omnivision sensors have been used in Mediatek reference designs for a long time, the newly announced partnership aims to develop new technologies that can integrate images taken by both of the front and back cameras for the best effect. Forward-facing cameras have become a standard part of smartphones but are still not being fully utilized, with image quality still poor and applications lacking, according to MediaTek. In addition to increasing the utilization rate of front cameras, customers can make use of the new functions to enhance video communication with friends via their smartphones for more fun, Mediatek and Omnivision said. Analog Devices applies for an image sensor design patent US20130015323. Nothing outstanding, except the applicant name. The rumor is that Analog Devices has been contemplating to enter image sensor market for a long time. This application talks about a multitude of column-level sampling caps arrangement for the binning in readout analog domain. Thanks to AA for the pointer! "This imager that we’ve designed in this experiment uses no moving parts, no lenses, and uses only a single detector. It’s equivalently a single pixel. This is made possible by combining two developing technologies. First, we use metamaterials that allow us unique control over light waves, and we use another technique called computational imaging," says Hunt. "...there’s only a single detector, and we never move it. And the way that we make an image with this system is we have a metamaterial screen, which is covered in patches of metamaterial elements, which are each transparent to different wavelengths of light. So this means that for every color or wavelength of light coming from the scene, it’s sampled by different patches of the aperture before it gets to the detector. If you want to collect a lot of data from a scene, you have to, in a sense, multiplex the way that you’re sensing. So one way of doing that, the way that it’s done in traditional cameras, is you have many different pixels. Pixels are spatially separated from each other. 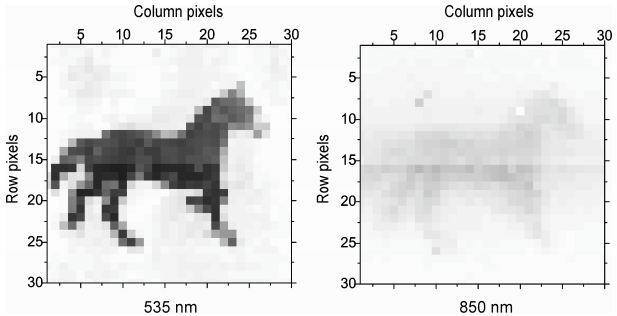 Instead of doing this sort of spatial detector multiplexing, what our system does is sort of frequency multiplexing so that each frequency or wavelength of light that comes into that imaging system samples a different portion of the scene. And then we use some very elegant math, which is developed in the field of computation imaging, to turn that data into a two-dimensional picture of all the scattering elements in the scene. ...for every frequency that we tune our detector to, the metamaterial aperture focuses a different set of points from our scene down onto that detector. So we make a sequence of measurements for different frequencies, and we get a sequence of different intensity measurements that correspond to the sum of the points in the scene that are being focused onto the detector for each frequency." PR Newswire: Omnivision announced the Video-in-Video (ViV) technology, a dual-camera video sharing technology that allows for the combination of video feeds from both the front- and rear-facing cameras into a single video stream. The ViV technology is built on a master/slave configuration where a primary 5MP camera (such as the OV5645 or the OV5648) can share its MIPI interface with an attached secondary VGA camera (such as the OV7695). 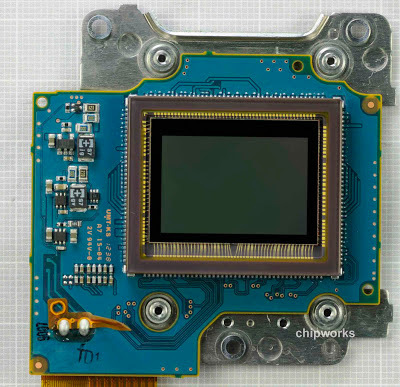 Using stitching and bypass modes, the primary camera can send via its MIPI interface either combined or slave-only images or video to the baseband, with or without image signal processing, thus requiring only one MIPI camera interface to support dual-cameras. "After two years of development and fine-tuning, we are bringing to market a technology that we believe can truly enhance the way people record and share video and images on smartphones and tablets," said Henrik Miettinen , product marketing manager at OmniVision. "X-Trans CMOS II adopts an original color filter array with a highly random pattern, eliminating the need for an optical low-pass filter (OLPF), which is used in conventional systems to inhibit moiré at the expense of resolution. This lets the sensor directly capture the high resolution performance of the FUJIFILM X20 lens. Also exploiting the enhanced performance of the EXR Processor II, Lens Modulation Optimizer (LMO) factors are calculated to compensate for aberrations and diffraction blur that occur when light passes through the lens and then are applied to produce images with amazing sharpness." The noise of the new sensor is said to be reduced by 30%, improving the low light SNR. PR Newswire: Omnivision announces the OV4688, a 4MP sensor in a native 16:9 HD format, designed for HD video and photography in mobile applications. Built on a new 2um OmniBSI-2 pixel, the 1/3-inch OV4688 captures full-resolution 4MP HD video at 90fps, 1080p at 120fps with electronic image stabilization (EIS), and 720p HD at 180fps. The sensor's fast frame rate enables additional key features, including full-resolution continuous frame capture or burst photography where multiple frames are captured in rapid succession, and recording high-quality slow-motion videos using common mobile devices. "The OV4688's new 2-micron OmniBSI-2 pixel delivers 40 percent higher sensitivity when compared to the 1.75-micron OmniBSI-2 pixel. This improvement combined with the ability to run full-resolution 4-megapixel video at 90 FPS makes the OV4688 a highly attractive camera solution for video-centric applications", said Vinoo Margasahayam, director of product marketing at OmniVision. The OV4688 features a high-speed 4-lane MIPI serial output interface to facilitate the required high data transfer rate and fits into an 8.5 x 8.5 mm module with a z-height of less than 6 mm. It is currently being sampled and is expected to enter mass production in Q2 2013. Chipworks reverse engineering of recently announced Nikon DSLR D5200 revealed Toshiba-made APS-C-sized sensor inside. The sensor features 24MP resolution with 5fps speed and 1080p30 video mode. Chipworks discovered 4 Cu metal layers on the sensor. The full reverse engineering report is available on Chipworks site. 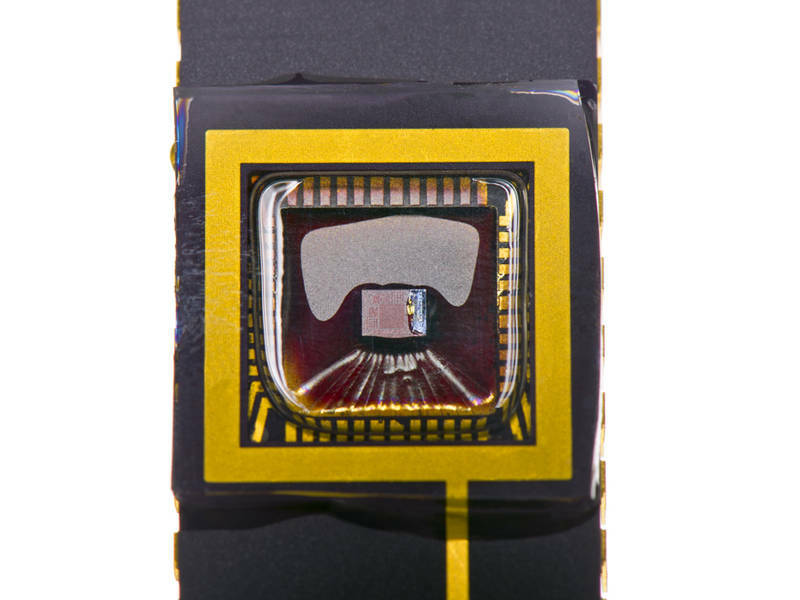 Business Wire: Morocco-based Nemotek Technologie announces an HD wafer-level camera module, the Exiguus A15-B1. The new 720p30 camera features two-element reflowable wafer-level lenses and provides lower distortion, better resolution and higher image quality while utilizing replicated lenses on glass wafers instead of traditional plastic. Nemotek is currently sampling the Exiguus A15-B1. Business Wire: eyeSight announces that its gesture control technology has been integrated into AMD’s upcoming Accelerated Processing Unit (APU) platforms, “Richland” and “Temash”; intended primarily for desktop, laptop and tablet PCs. With eyeSight’s gesture recognition closely optimized and integrated into AMD Gesture Control, “Richland” and “Temash” APU solutions are able to process gestures with optimal speed, accuracy and efficiency. By running the video processing algorithms on the upcoming APUs, eyeSight was able to reach remarkably low CPU consumption compared to running on traditional X86 CPUs. In some cases, the processing time has even been reduced by a factor of 20x- allowing eyeSight to introduce additional code and significantly increase recognition accuracy. eyeSight's gesture recognition is based on a regular 2D webcam. Ambarella announces the A9 SoC supporting H.264 encoding in 4K/30fps UHDTV. Manufactured in 32nm process, the A9 also supports high frame-rate video for capturing of 1080p at 120fps or 720p video at 240fps. 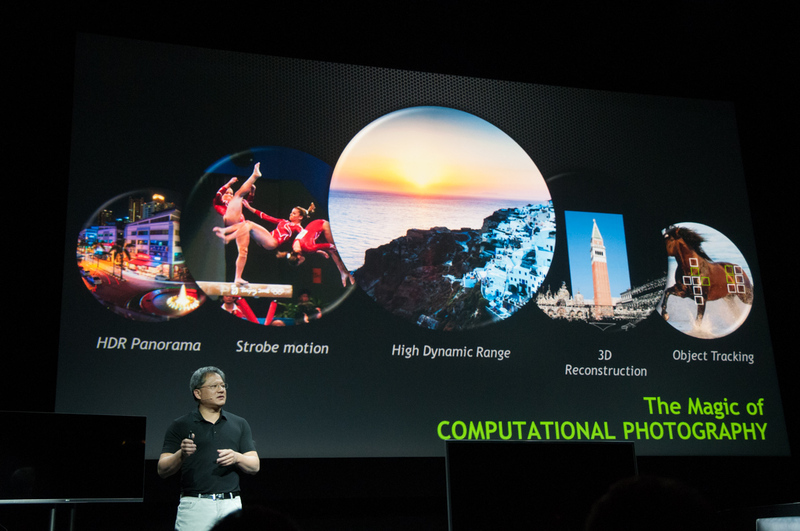 Other A9 features include multi-exposure HDR support, including local tone mapping, Electronic Image Stabilization (EIS) with rolling shutter correction, 3D Motion-Compensated Temporal Filtering (MCTF) with de-ghosting for reduced artifacts, and burst capture of up to sixty 12MP still images per second. "The A9 unleashes 4K Ultra HD video into the consumer camera marketplace," said Fermi Wang, president & CEO of Ambarella. "Using A9, our customers can create camera products with a unique combination of advanced fast-action video features, exceptional still image quality, and full wireless connectivity." 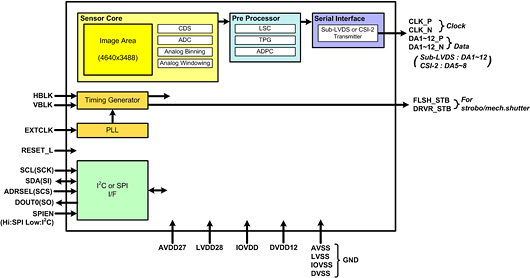 Ambarella A9 4K Ultra HDSoC System Diagram. Ambarella also introduces the A7L-A family of automotive SoCs and reference designs, enabling 1080p30 HD single and dual-view camera configurations, supporting video recording through the front windshield as well as through the rear window or inside the vehicle. The A7L-A’s feature WDR, smart auto exposure, and full-resolution over-sampling allowing the capture of license plates and other details. The SoCs include a high speed 700MHz ARM CPU to support advanced analytics including a Lane Departure Warning System (LDWS). Fabbed in 32nm process, the A7L-A SoCs require no external DRAM and support single stream video encoding up to 8MP @ 30fps or dual stream encoding up to 1080p30. "With the introduction of our new A7L-A SoC family, Ambarella further strengthens our position in the fast growing automotive after-market," said Fermi Wang. "Combining full HD dual-view recording with outstanding video quality, the A7L-A family will inspire the next generation of advanced automotive cameras." The A9 and A7L-A family of SoCs and reference designs are available now for qualified customers. "...annual revenues for stand-alone digital cameras have been on the decline since 2007. Worldwide unit shipments of digital still cameras, which peaked in 2011 at 142 million systems, are expected to decline 3% in 2013 to 133 million after falling 4% in 2012. In 2012, camera phones with 3Mpixel or greater image sensors were outselling stand-alone digital still cameras by a 6:1 ratio. 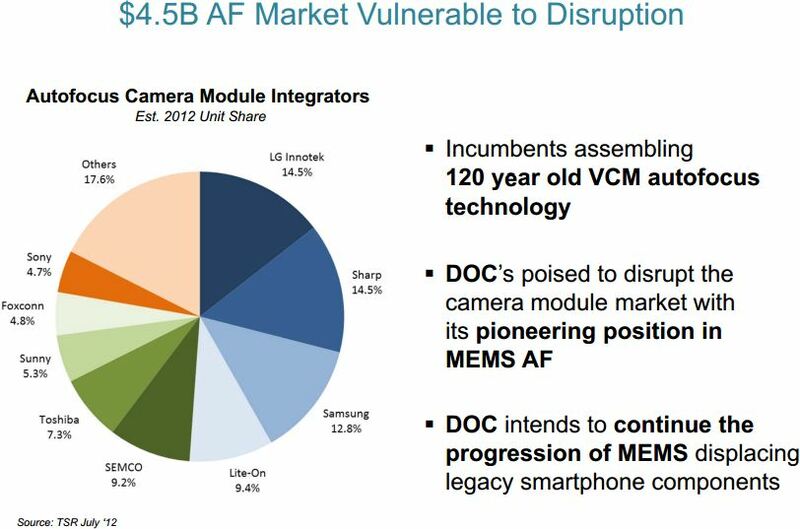 The lack of digital camera growth has shifted a great deal of the IC industry’s attention in digital imaging from stand-alone photography products to new applications and embedded systems, such as enhanced machine vision for automotive safety and industrial equipment, intelligent video surveillance networks, medical imaging, and small camera modules for smartphones, tablet computers, and other portable devices. The total market value for digital cameras and imaging systems is expected to grow from $55.5 billion in 2012 to $77.8 billion in 2016. In doing so, this market will shift from being heavily dependent upon stand-alone cameras to being more evenly spit across several end-use equipment segments. 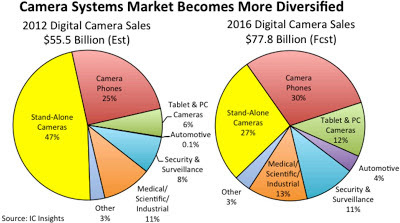 ...IC Insights forecasts total shipments of digital cameras and embedded imaging systems will reach 6.0 billion units in 2016 compared to 2.5 billion in 2011, which represents a compound annual growth rate (CAGR) of 19.0% in the five-year period." 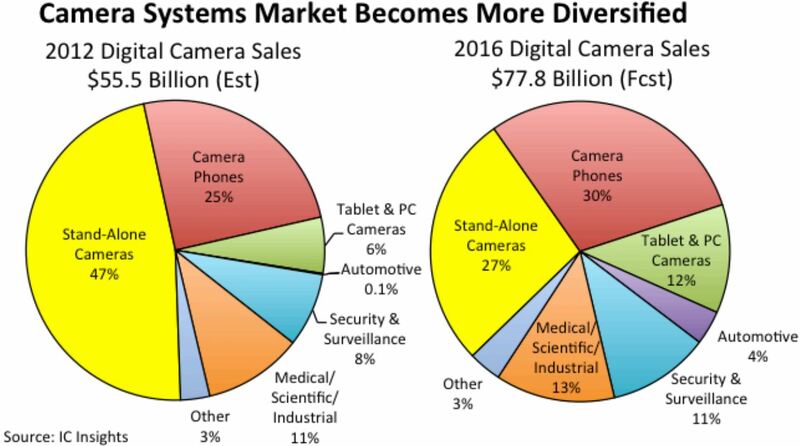 "CMOS image sensor revenue will end 2012 growing 21 percent to a record $7.1 billion... Total image sensor revenue, including CMOS sensors and CCDs, will total $9.5 billion in 2012." Nvidia Tegra 4 Boasts "Computational Photography Architecture"
Nvidia announces its ARM15-based 4-core Tegra 4 processor featuring "Computational Photography Architecture, which automatically delivers high dynamic range (HDR) photos and video by fusing together the processing power of the GPU, CPU and the camera's image-signal processor. Its HDR capability captures images, including those taken with a flash, the way they are seen by the human eye -- with detail in both bright and dark areas." 3.2.2 How can multiple segments be practically realized? 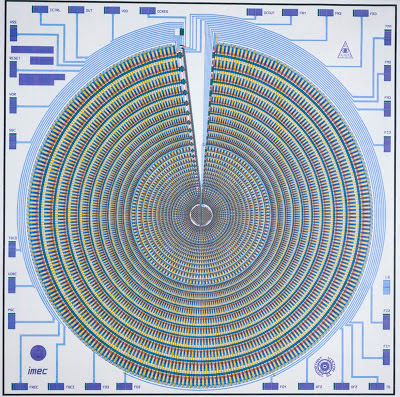 IMEC foveated CCD, 1989. 36 1/4 x 36 1/4″ (92.1 x 92.1 cm). Debusschere, I., Bronckaers, E., Claeys, C., Kreider, G., Van der Spiegel, J., Sandini, G., ... & Soncini, G. (1989). A retinal CCD sensor for fast 2D shape recognition and tracking. Sensors and Actuators A: Physical, 22(1), 456-460. Thanks to EF for the pointer! GigaOm: Leap Motion has raised another $30M in a second investment round. The funding round, led by Founders Fund with previous investor Highland Capital Partners participating, follows a $14.5M Series A round. The company's products will be bundled with ASUS all-in-one PCs and some laptop models. GigaOm says that the Leap Motion's gesture recognition device has a 150-degree FOV and can accurately track the movements of all 10 fingers with up to 10um(!) accuracy. More than 12,000 developers are said to be working with the product and its SDK. PMD posted another Youtube PC gesture control video demoing faint movement based gestures: "We wanted to focus our interaction on small and subtle gestures with do not require you to raise your arm and/or hand very much, since we feel that this will not be appropriate for frequent usage of gesture control (gorilla arm … ;-) ). So, we decided for an interaction paradigm which requires only the smallest imaginable movement of your hand. The standard position of your hands when operating a laptop/AiO is on the keyboard. And we are happy if you can leave your hands there. It is just required to raise your finger: The movement is convenient, easy to accomplish and most of all enables immediate gesture interaction. Swiping your right index finger with different speeds in different directions triggers different actions (see the video for more details). Additionally, raising your left index finger, brings up menus which enable more functionality (shown in the video as well)." While we are at user interfaces, Tobii announces a new low-cost consumer version of its eye-tracking camera and user interface, Tobii REX. The REX is available now for software developers and will be available for consumers in fall 2013. The updated SK Hynix databook has information on a new 1.12um pixel based sensor - the 8MP 1/4-inch YACG4A1C. The sensor delivers 30fps at full resolution and has RAW 8bit and 10bit output modes. The sensor is said to be sampling, as of Q4 2012. The 1.4um pixel-based 5MP YACF4B1C raw sensor and 3MP YACE5B1S SOC are said to be in mass production. Their speed is 15fps at full resolution. Soitec updated its Imager SOI product line page. 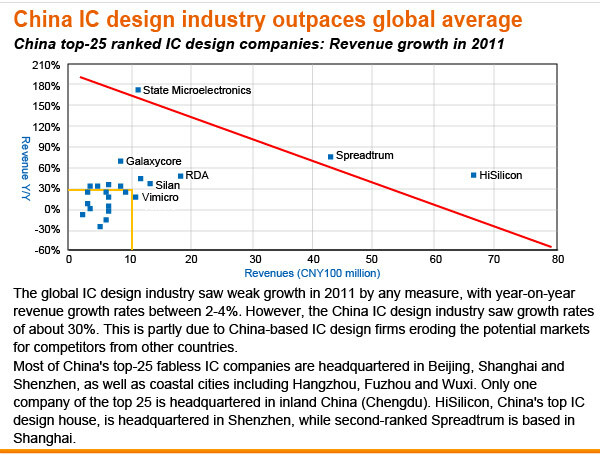 The company supplies both standard and customer-specific structures requiring over 1.5µm top silicon. For silicon films thicker than 1.5µm, an additional epi growth is needed. 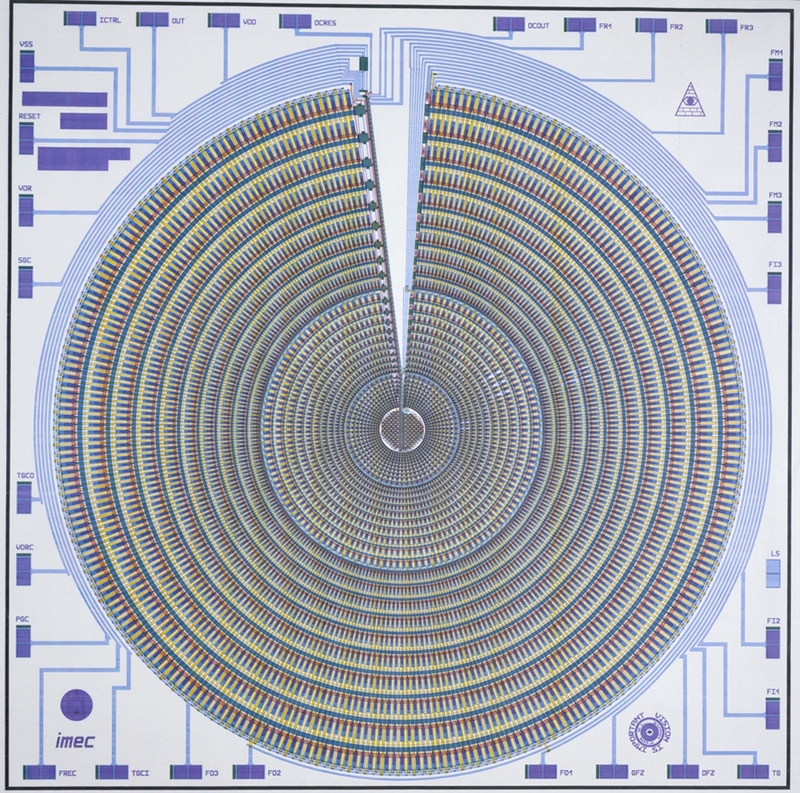 Both 200mm and 300mm wafers are available for BSI imagers (I'd guess 200mm is supplied to TowerJazz and 300mm - to ST). 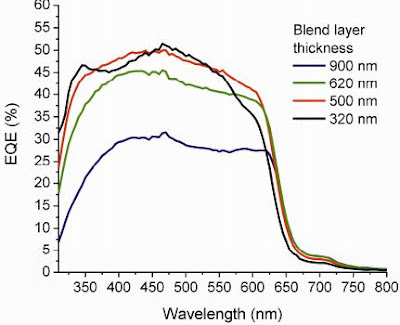 The buried oxide layer thickness is in 0.145µm to 0.5µm range.